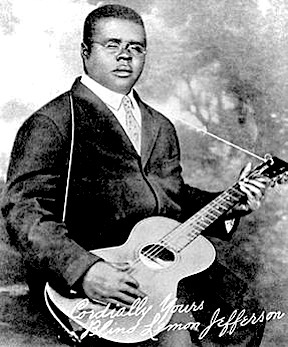 Blind Lemon Jefferson, 1926 – the only known photograph of him. Billington today [25 March 2015] announced this year’s 25 additions, bringing the total number of recordings on the registry to 425. The Library holds almost three million recorded-sound items in it collection; the Registry serves not only to remind Americans that sound recordings, like audio-visual ones, require careful preservation, but that they’re something to marvel at and cherish. 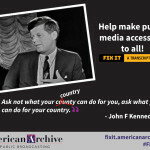 “By preserving these recordings, we safeguard the words, sounds and music that embody who we are as a people and a nation,” Billington said, in releasing the list of Registry additions. This year’s selection (summaries of the Library’s press-release descriptions are below) is a typically diverse range of musical and spoken-word material drawn from the years 1890-1999. Selected recordings are housed in the Library’s state-of-the-art Packard Campus for Audio Visual Conservation in Culpeper, Virginia, which is home to more than seven million collection items, including nearly three million sound recordings. And, to repeat, if you think it more than anything… say… reflects certain kinds of taste within an arguably limited aesthetic ranges, get thee to a portal of the worldwide information superhighway, go to the NRPB website, and pitch something you’d prefer. 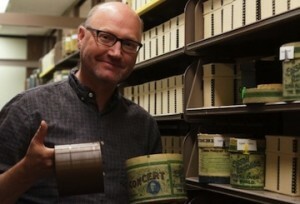 Archivist David Seubert with a wax cylinder. The Vernacular Wax Cylinder Recordings at University of California, Santa Barbara Library (c. 1890-1910) More than 600 homemade cylinder recordings made in the 1890s, 1900s and 1910s by anthropologist Donald R. Hill and sound historian David Giovannoni during the years when the cylinder phonograph allowed owners to make sound “snapshots” of everyday life like these —family singing, instrumental selections, jokes, ad-libbed narratives, cries of newborn babies and barnyard animals. Vernacular wax-cylinder recordings are among the most endangered of all audio formats because their grooves are extremely fragile and shallow; the wax on which they were recorded decomposes with time; archives find them challenging to catalog; and collectors shave off their existing recordings to make new recordings. The vast majority of vernacular wax recordings remain in private hands or uncatalogued in institutions. 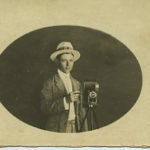 The Benjamin Ives Gilman Collection, recorded at the 1893 World’s Columbian Exposition at Chicago (1893) Benjamin Ives Gilman, a Harvard psychologist and, later, curator for the Boston Museum of Fine Arts, made 101 wax-cylinder recordings at the 1893 Chicago World’s Fair. 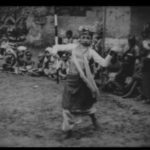 They hold Fijian, Samoan, Uvean, Javanese, Turkish, 2Kwakiutl, or Vancouver Island Indian songs and ceremonies along with recordings of other Middle Eastern, South Seas, and Native American musicians and singers who performed in specially-constructed “villages” along the Fair’s midway. Gilman also recorded the musicians playing patriotic American music for fair-goers – so, for example, a gamelan plays “Yankee Doodle Dandy”). 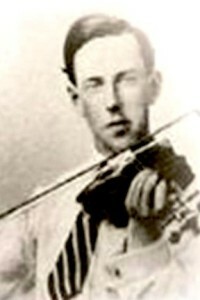 “The Boys of the Lough”/”The Humours of Ennistymon” (single) — Michael Coleman (1922) Irish fiddler Michael Coleman (1891-1945) left his native county of Sligo for New York City in 1914. In New York, he found a large Irish and Irish-American audience listening to Irish music homogenized with American influences, and countered that with a brisk, ornamented, rural traditional style that made him a vital figure in Irish music even back home, where he never returned. “Ac-Cent-Tchu-Ate the Positive” (single) — Johnny Mercer (1944) Written for the film Here Come the Waves by prolific composer Harold Arlen in collaboration with Johnny Mercer, a leading American lyricists renowned for his literate and witty lyrics. Mercer recorded the song with the Pied Pipers and Paul Weston’s Orchestra and released it on Capitol Records in late 1944. It became a bigger hit than even the version by Bing Crosby and the Andrews Sisters released the same month. In a genial southern accent, Mercer sermonizes about happiness hinges on a positive outlook. Radio Coverage of President Franklin D. Roosevelt’s Funeral — Arthur Godfrey, et al. (April 14, 1945) National radio networks suspended regular programming from FDR’s April 12 death until after his interment on Sunday, April 15, and instead aired a round-the-clock stream of reactions from home and abroad, including formal tributes, memorial services, and live coverage of the journey of the funeral train bearing the president’s body to Washington, D.C. On Saturday, April 14, a solemn funeral cortege made its way through the streets of the nation’s capital from Union Station to the lawn of the White House, with relays of radio announcers describing its progress. 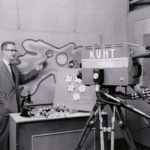 Arthur Godfrey, a local broadcast personality with many years of experience covering public events in the area, was the last, emotional announcer on the route before the White House and gave detailed, dramatic descriptions from atop a bank building, his tone changing from solemn and journalistic to personal and emotional. “John Brown’s Body” (album) — Tyrone Power, Judith Anderson, and Raymond Massey; directed by Charles Laughton (1953) From 1949 to 1952, noted actor Charles Laughton toured the U.S. as the director of his own production of George Bernard Shaw’s Don Juan in Hell, which he presented in the form of a staged reading by four actors. 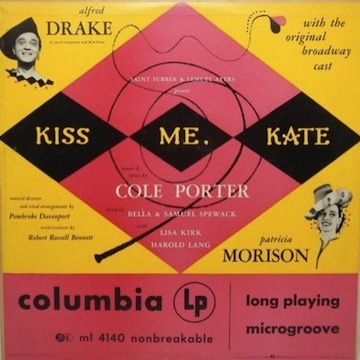 Recorded by Columbia Records in 1952, it proved an unlikely theatrical successes. So Laughton made John Brown’s Body, an adaptation of Stephen Vincent Benét’s 1928 book-length Civil War poem with the voices of Tyrone Power, Judith Anderson, and Raymond Massey augmented by a choir that sang composer Walter Schumann’s settings. “My Funny Valentine” (single) — The Gerry Mulligan Quartet featuring Chet Baker (1953) Having already scored a hit with a studio recording in 1952, the Gerry Mulligan Quartet made his life recording on May 20, 1953 at The Haig jazz club in Hollywood, California. At over five minutes, nearly twice as long as the single, trumpeter Chet Baker and baritone saxophonist Mulligan had room to stretch out in a darker, more expressive version propelled by a simple, insistent, almost ominous Carson Smith bass line, with Larry Bunker on drums. The popularity of the 1952 studio version helped keep this performance in the vault until the 1960s, but since then this extended version has become the definitive Mulligan/Baker collaboration. 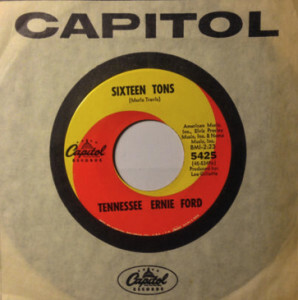 “Sixteen Tons” (single) — Tennessee Ernie Ford (1955) Ford made this unlikely hit after hearing it years earlier when he and songwriter Merle Travis appeared on Cliffie Stone’s “Hometown Jamboree” radio and TV show. Ford sang “Sixteen Tons” on his NBC television show and at the Indiana State Fair in 1955 to enthusiastic audiences. In September of that year, to satisfy a contract deadline, he recorded it as a “B” side but it garnered so much airplay and record-setting sales that it trumped its A side, “You Don’t Have to Be a Baby to Cry.” To accompany Ford’s deep voice and spare, dark instrumentation, musical director, Jack Fascinato used a strong beat played by a jazz combo, an unusual arrangement for a song about coal mining, and Ford transformed the song from simple labor song into defiant declaration of Faulknerian endurance. “Mary Don’t You Weep” (single) — The Swan Silvertones (1959) With pre-Civil War, Southern-slave roots, this key early spiritual conveyed messages of hope, resistance, and liberation. It has inspired African Americans since, and been recorded many times since first captured in 1915 by the Fisk Jubilee Singers. This 1959 take by the Swan Silvertones on Vee-Jay Records turned the traditional favorite into an anthem of the modern civil-rights movement and inspired a new generation of activists and artists, including James Baldwin and Paul Simon. “Stand by Me” (single) — Ben E. King (1961) Ben E. King intended “Stand by Me” for his former group, the Drifters, but then recorded it himself. It became one of the most broadcast songs of the 20th century. Inspired by a gospel song, King shared the songwriting credits with Elmo Glick, a collective pseudonym for the team of Jerry Leiber and Mike Stoller. 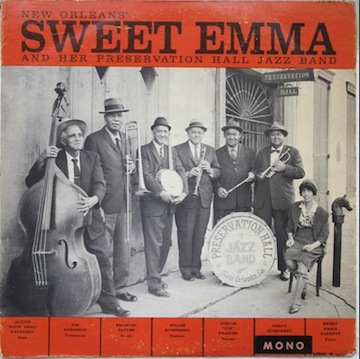 “New Orleans’ Sweet Emma Barrett and her Preservation Hall Jazz Band” (album) — Sweet Emma and her Preservation Hall Jazz Band (1964) Seven New Orleans jazz veterans play the melody from the heart and elaborate with care. Pianist Sweet Emma Barrett, the Humphrey Brothers (clarinetist Willie and trumpeter Percy), trombonist “Big Jim” Robinson, bassist Alcide “Slow Drag” Pavageau, banjoist Emanuel Sayles and drummer Josie “Cie” Frazier perform what is known as “New Orleans Revival Jazz,” a raw form of early jazz inspired by the band of trumpeter Willie “Bunk” Johnson. “You’ve Lost That Lovin’ Feelin’” (single) — The Righteous Brothers (1964) The epitome of Phil Spector’s Wall of Sound layered sound assemblage. Spector had husband-wife team Barry Mann and Cynthia Weil write a song inspired by the yearning of “Baby, I Need Your Loving” by the Four Tops. Spector suggested a riff from “Hang on Sloopy” for the bridge and added the vocal “whoa-whoa-whoas.” Spector crammed a Gold Star Studios room in Los Angeles with musicians so that leaking sound contributed to the Wall of Sound effect. Another key was cement-lined echo chambers on instrumental and vocal tracks. At nearly four minutes, the recording was too long for most radio, so Spector purposely misprinted the running time as 3:05. “The Doors” (album) — The Doors (1967) The unlikely grouping for a rock group of jazz keyboardist, flamenco guitarist, jazz drummer, and poet/vocalist coalesced during months of club playing that in the studio was augmented with electric bass. The summer hit “Light My Fire” was the tip of a dark iceberg — the much longer album version included Robby Krieger’s riveting guitar solo; on “Alabama Song (Whiskey Bar),” Manzarek played a Marxophone (antique zither with bell-like notes); the sound engineer used Sunset Sound Studio 1’s then-innovative isolation booth to record Jim Morrison’s vocals. The Doors still pushed artistic, sexual, and psychological boundaries, explicitly so in “Break on Through (To the Other Side),” which begins with a brisk bossa nova beat by drummer John Densmore before morphing into muscular rock. The album’s dark heart is the primal 12-minute “The End” inspired by a Ravi Shankar raga. 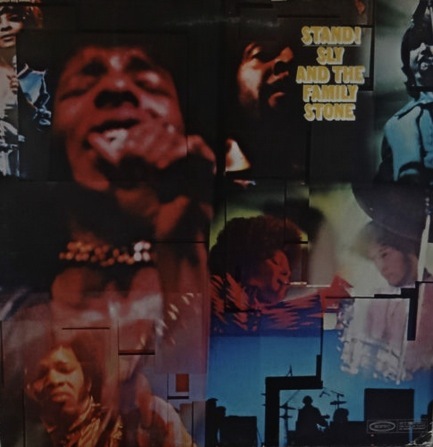 “Stand!” (album) — Sly and the Family Stone (1969) Propelled by impossibly smooth horn section, funky organ, and taut guitar and bass, Stand urged cultural harmony amid dance. “Sing a Simple Song,” “I Want to Take You Higher,” “Stand!” and “Everyday People” are instantly recognizable, foundational statements of late-1960s pop and precursors of ’70s soul and funk. Before forming Family Stone in 1967, vocalist Sly Stone had been a San Francisco music-scene in bands, and as a DJ and producer of Bobby Freeman, The Beau Brummels, and The Mojo Men. “Lincoln Mayorga and Distinguished Colleagues” (album) — Lincoln Mayorga (1968) In search of improved sound, classical pianist Lincoln Mayorga and longtime friend Doug Sax and his brother Sherwood built their own mastering lab, Sheffield Lab. In 1968, they recorded “Lincoln Mayorga and Distinguished Colleagues” direct to disc, running lines from the studio to their next door lab, bypassing the use of tape recorders in an “audiophile” form of direct-to-disc recording that enthusiasts hailed. 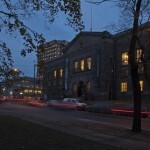 Major labels hesitated to adopt the technique due to its expense and limited pressing quantities. 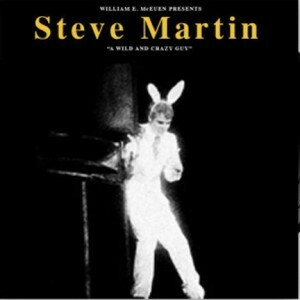 “A Wild and Crazy Guy” (album) — Steve Martin (1978) Terms applied to Martin — “postmodern humorist,” “meta-comic,” “anti-comedian” — point to the risky, self-conscious tightrope Martin walks between satire and wackiness. Martin became disillusioned in the early 1970s with formulaic jokes with punchlines and determined, he said, “to create odd situations in which people could choose their own places to laugh.” The record also includes two of his most popular bits: “King Tut” and George Festrunk as a “Wild and Crazy Guy! “Songs of the Old Regular Baptists” (album) — Various (1997) These hymns, traceable to the 16th-century English parish church and the Protestant reformation, are the oldest Anglo-American religious music transmitted orally to the New World. The Old Regular Baptists of southeastern Kentucky employ a once-common structure called “lining hymn” o “lined out harmody” where, with no written notation, a leader sings hymns one line at a time, often quickly, and the congregation repeats the words in unison to a tune much longer and more elaborate, with no regular beat or harmonizing parts, and often very emotionally. The result is “heterophonic” one that is unique in Western music. “The Miseducation of Lauryn Hill” (album) — Lauryn Hill (1998) In stunning, smooth highs and vibrato, the singer explores the wonder of pregnancy, the pitfalls of modern relationships, and experience of the sacred in an effortless fusion of soul, rhythm and blues, reggae, and rap that retains and exploits the cadences of conversational speech. With standout cameos by guitarist Carlos Santana and fellow vocalists Mary J. Blige and D’Angelo. 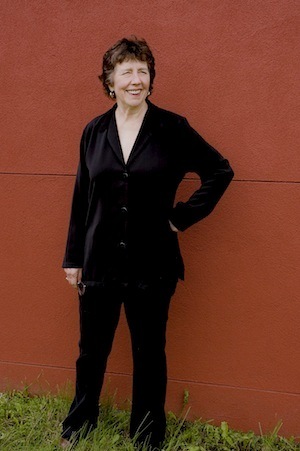 “Fanfares for the Uncommon Woman” (album) — Colorado Symphony Orchestra, Marin Alsop, conductor; Joan Tower, composer (1999) In “Fanfares,” composed 1986-1993, revised 1997, a key American composer, performer, conductor, and educator tributes “women who are adventurous and take risks” as she has one since beginning composing in the 1960s when women were routinely omitted from music-history books and denied the conducting podium.